Not able to go to DCon this year? Able to go but can’t find enough Kawaii to satisfy your soul? 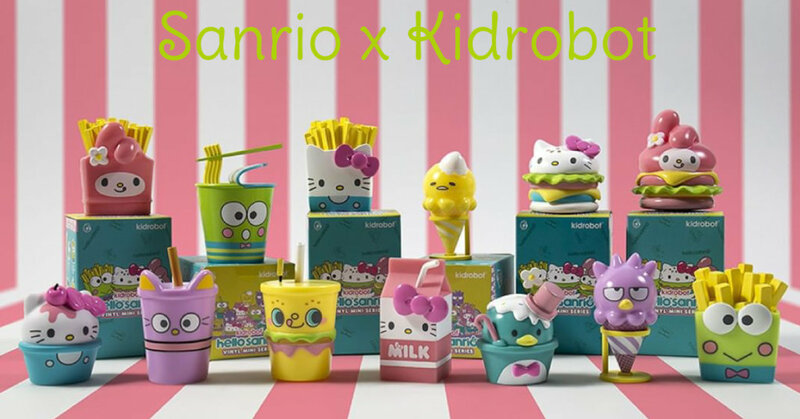 Kidrobot and Sanrio hear you! To solve the dilemma, they brought Hello Kitty and all her friends to make your days SO much brighter! These delectable and collectible 3" vinyl figures from @Kidrobot feature your favorite #Sanrio friends in flavorful food form. Collect them all, the link is in the bio! Kitty Milk? YES PLEASE! Ok, so almost all of Hello Kitty’s pals have come together to create this 3″ party of adorableness. Which is your favorite? We’re pretty sure you can’t beat Keropi Cup of Noodles but its a really close race. You know what else? They’re all calorie free! If you’re interested in finding some of these to bring home? Head over to the Kidrobot site here to grab them for yourself! Also, you’re gonna want to follow Sanrio and Kidrobot on their Instagrams to catch the latest releases from the leaders in cute creations!!! !